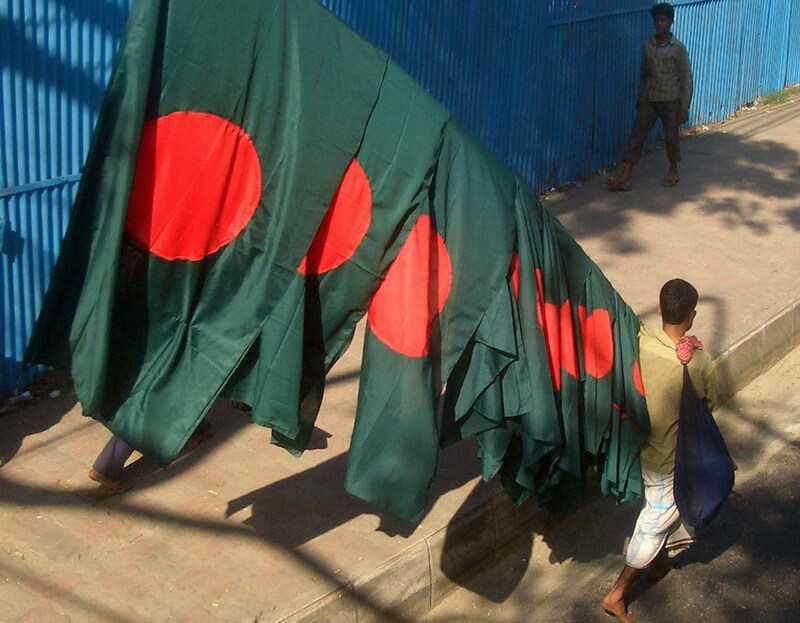 A new threat from beyond its borders looms over Bangladesh. With as many as nearly a million Rohingya refugees from Myanmar having already taken shelter in the south-eastern part of the country, there is now bad news filtering in from the neighbouring Indian state of Assam. The state, recently under a new government by the Hindu nationalist Bharatiya Janata Party, has now finalised a register that records the names of individuals who are Indian citizens. Those left out are people it believes are illegal or undocumented immigrants from Bangladesh. The attempt by the Assam government to pin the blame on Bangladesh for what it calls continued illegal migration of Bangladeshis hardly holds water. The sheer numbers on the list, known as the National Register of Citizens (NRC), are staggering. It leaves out more than four million Bengali-speaking Assamese who have inhabited the state for generations but who the governing classes are convinced, or would like to convince others, do not belong in the state. That argument has not impressed a whole lot of people in India itself, given that serious flaws have been noted in the list. A former chief minister of the state has been unable to spot her name on the NRC, which technically leaves her stateless. A judge of the high court has also found his name missing. The problem with the NRC, or its flawed findings for Bangladesh, centres on the fact that the Assamese authorities have considered the cut-off date of 24 March 1971 for people to provide proof of their Indian citizenship. The date is significant given that only a day later, with the Pakistan army launching a crackdown on the Bengalis of East Pakistan (now Bangladesh), large groups of Bengalis, both Muslims and Hindus, made their way across the porous borders Bangladesh shares with India. Bangladesh’s political leadership declared the country’s independence on 26 March 1971 and for the subsequent nine months till December of the year waged a guerrilla war against Pakistan. During that period, altogether ten million Bengalis, of a population of 75 million, trekked to India in search of sanctuary. They returned home at the end of the war. The Assamese state government now offers the argument that illegal migration from Bangladesh has not ceased, pointing out that Bengalis now in Assam threaten to overwhelm local Assamese numerically. The move has hit a roadblock, with no fewer than 33 million people now in a state of desperation, despite their possession of valid documents, about convincing the authorities that they have been citizens of India in the way their ancestors were for long decades. The attempt by the Assam government to pin the blame on Bangladesh for what it calls continued illegal migration of Bangladeshis hardly holds water. In the years since 1971, the Bengali population in Assam has increased, of course, but that has been a result of a hike in childbirth among the Bengali population. The new rulers in Assam, fortified by the BJP government at the centre in Delhi, have remained busy promoting what has begun to resemble xenophobia in the state. The Indian diplomatic mission in Dhaka has sought to clarify the situation by drawing attention to the fact that nothing has finally been decided and that the NRC process is yet on-going. That is barely a comfort for Bangladesh for the reason that many Assamese political figures have begun suggesting that the four million people not on the list might look to conditions facilitating their “return” to Bangladesh. The issue, some of them have stated without ambiguity, will be raised with the Bangladesh authorities. And what happens if Bangladesh refuses to talk, since it does not buy the argument that these four million people are Bengalis whose homes are within its geographical parameters? No answers have been proffered. Bangladesh and India have traditionally enjoyed close ties, especially since 1971 when Delhi backed Dhaka’s armed struggle for independence from Pakistan with moral as well as material support. Even so, there have been some serious problems that have often become obstacles in the relationship, a complex one being a sharing of the waters of the river Teesta between Bangladesh and the neighbouring Indian state of West Bengal. Opposition to the deal, which was almost initialled by then Indian Prime Minister Manmohan Singh and Bangladesh’s Sheikh Hasina in 2011, from West Bengal Chief Minister Mamata Banerji, has stymied any chances of a resolution of the conflict any time soon. Promises by Prime Minister Narendra Modi to conclude a Teesta deal within the periods in office of both his government in Delhi and Sheikh Hasina’s in Dhaka (Indians go to general elections by May next year while Bangladeshis will vote at the next election in December this year) do not appear likely to bear fruit. In light of such realities, the fear in Bangladesh is obvious: if and when the right-wing Hindu government in Assam has the NRC validated by India’s higher judiciary, local intolerance could force these four million unlisted people towards Bangladesh. Dhaka is already reeling under the burden of the nearly million Rohingyas, described by the Myanmar government as aliens, on its soil. The pressure under which Sheikh Hasina operates can only be imagined.